With the successful revival of London Menswear Week, New York, with Agentry PR at the helm is staging its own resurgence of menswear week. On its inaugural season, the New York Menswear Day was marked by two snowstorms hitting the city and creating havoc with the arrival of editors as thousands of flights were cancelled. 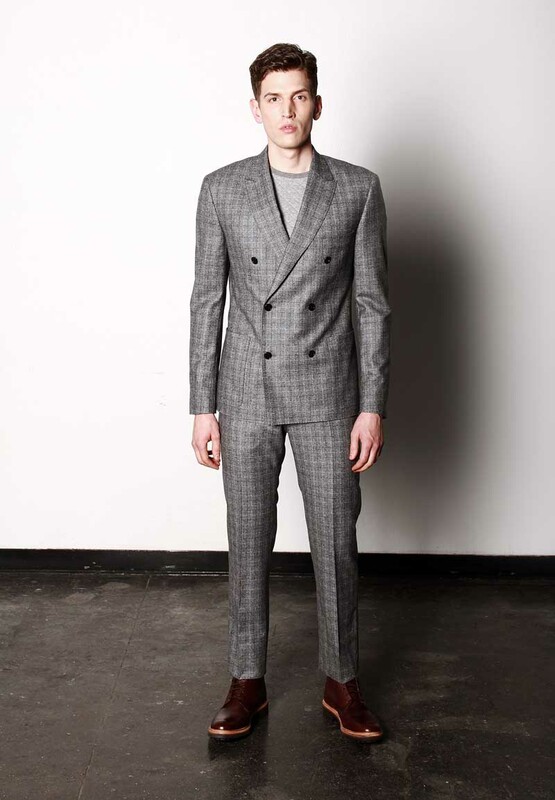 Nevertheless, the Menswear Day went on with Chinese label Bosideng on the spearhead. For Fall 2014, Bosideng’s Design Director, Amelia Pretious, drew inspiration from the film “In The Mood for Love,” by director Kar Wai Wong, with its deep colors and sweeping scenery of modern Hong Kong. Romance is at the heart of this collection and uses a rich and sumptuous color palate of regal purple, Bordeaux, midnight navy and warm camel. Dinner suits are modern and youthful, whilst printed shirts are meaningful and bold. Outerwear includes a bright mustard-colored rain mac and a down coat in grey with acid yellow overcheck and fox fur hood trim. In addition to finding inspiration in the booming contemporary Chinese art world, Pretious collaborated with Shanghai-based artist, Chang Jinchao to create a series of surrealist illustrations, which are used on jersey knit tops.